Advanced Liquidators specializes in new and used office furniture and studio production rentals. We are family owned and operated and have been in business for over 35 years. We have strived to make customer service and unbeatable prices our number one priority since day one. We carry an incredible selection of merchandise from many of the leading manufacturers and distributors. We sell desks, chairs, file cabinets, partitions, modular furniture, conference tables, reception furniture, and much much more! We offer professional floor plan design services to assist you in furnishing an office of any type and size. For your studio rental and set decorating needs, we have 80,000 square feet filled with an amazing and continuously growing inventory of product. We have been renting to the studios for the past 25 years. We work very fast, have incredible turnaround time and truly understand the needs of buyers and set decorators. Products include vintage furniture, desks, chairs, conference tables, file and storage cabinets, bookcases, office computers and electronics, copiers, desk accessories, lighting, cleared artwork and much more. We have recently worked on some of the most successful television shows, movies, and commercials in Hollywood. They include Modern Family, Grey’s Anatomy, Brooklyn 99, Westworld, American Horror Story, Snowfall, Young Sheldon, Big Bang Theory, Ray Donovan, Veep, Jane the Virgin, The Good Place, The Affair, Shameless, NCIS Los Angeles, CSI, Curb Your Enthusiasm, Scandal, True Blood, Criminal Minds, Fuller House, Argo, VICE, A Star Is Born, Transformers, and many more. 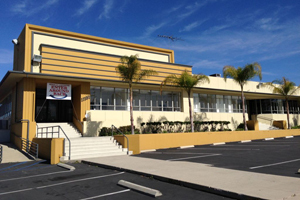 Drop in any time and see our office furniture showroom at 10631 Magnolia Blvd. For studio rentals, drop by and tour our Prop Warehouse at 11151 Vanowen St. Both conveniently located in North Hollywood.